This level have normal difficulty and you need to use good strategy to complete this level. For this level you will get three moonstruck after 38, 25 and 12 moves remaining. 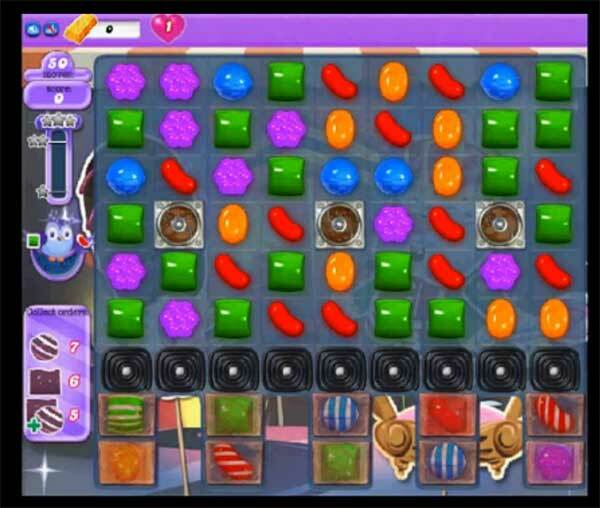 First you should try to make striped candy or wrapped candy by playing more from bottom. As you will get special candy make combos that you need to make if you can balance the Odus owl or use special combo between moonstruck.